A deep understanding of customer behavior and what makes them “tick” is key to good marketing. Understanding purchasing behavior allows retailers to optimize their marketing campaigns, improve customer experiences, and enhance retention and loyalty. Recent studies have shown that personalization is the most preferred strategy for marketing executives today. In order to do this effectively, marketers need to be equipped with the capability to analyze data and gain insights. Organizations are turning to analytics to process their big data, and predictive analytics in particular is gaining traction. Predictive analytics is the analysis of past behaviors of the customers and predicts future trends. This process involves understanding the past, present and future customer behaviors by modeling a mathematical framework which identifies patterns in customer behavior and product usage in order to predict future behavior. Getting customer data is no more a challenge. The proliferation of technology has empowered companies to collect and record customer data at every touch point. Customers generate information at every interaction. The biggest business challenge for companies today is harnessing volumes of data and converting it into relevant information to increase personalization and relevancy. 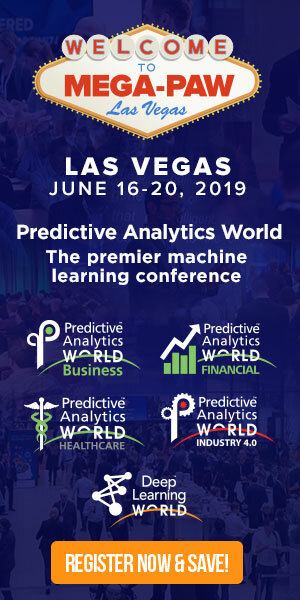 Predictive analytics helps to predict, but also to shape marketing goals by analyzing granular real time and historical data and running predictive models on them. For instance, to provide recommendations to customers, Amazon processes past purchase history, ratings and likes, as well as other customers’ purchase history. Netflix leverages users’ ratings on movies and TV shows to produce new movies/ TV shows and genre suggestions. Pandora taps into users’ ratings of songs, artists and genres to make music recommendations. Twitter turns to user connections to recommend new connections. These well known brands are doing extremely well adding new customers every day because of their ability to anticipate customer needs and make appropriate recommendations at the right time. Gather a deeper understanding of customers – Predictive analytics takes the information from the CRM and processes it quickly to help marketers get answers to specific queries that in turn enable them to customize the campaign. By applying attributes of customer behavior and results of customer profiling to current marketing campaigns, marketing executives can ensure highly relevant and targeted messaging and interaction with customers. This automatically results in improved response rates and success of the campaign. Roll out targeted offers – Predictive analytics helps marketers identify the right products to promote to interested customers by determining their past propensities toward certain products. This enables targeted offerings to the most profitable customers or the most promising future prospects. Predictive analytics also provides insights into targeted campaigns thereby revealing customer behavior patterns which can be further leveraged in subsequent campaigns. Deploy real time marketing campaigns – Real-time customer recommendations gathered out of a CRM is further enhanced with a predictive analytics platform. It can provide individual customer predictions to help marketers match the product offers based on relevance, frequency, demographic data and purchasing data available for each individual consumer. Make specific offers to specific customers – Propensity modeling is supported by predictive analytics and this enables marketing executives to determine which message is likely to resonate with a customer and on which channel – call, email, web, direct mail etc. With rising customer expectation and digital revolution, ‘one-size-fits all’ marketing does not work anymore. Propensity modeling allows for customer segmentation and individualization for achieving high levels of relevancy and customization. Monitor and course correct in real time – Evaluating marketing campaigns and determining ROI becomes easy with predictive analytics monitoring the CRM. It enables quick course correction in the event the campaign is not meeting desired results. Tracking customer metrics and acquiring insights into customer behavior helps marketers plan future campaigns and activities. It becomes possible to respond to customer’s actual behavior in near real time by closely watching out for metrics like sales, retention and churn. In essence, predictive analytics empowers companies to provide personalized customer service by offering relevant recommendations to each customer. This personalization improves the brand – customer relationship and allows marketers to drive customer loyalty and retention. Aneesh Reddy is the Co-Founder and CEO of Capillary Technologies. A visionary who believes that advances in technology can lead to significant advances in business value and ROI, Aneesh leads the Capillary team and works with enterprise customers to help them put the right communications for the right products into the hands of the right customers at the right time.